One of the most effective means of advertising a brewery can implement is the drink coaster. 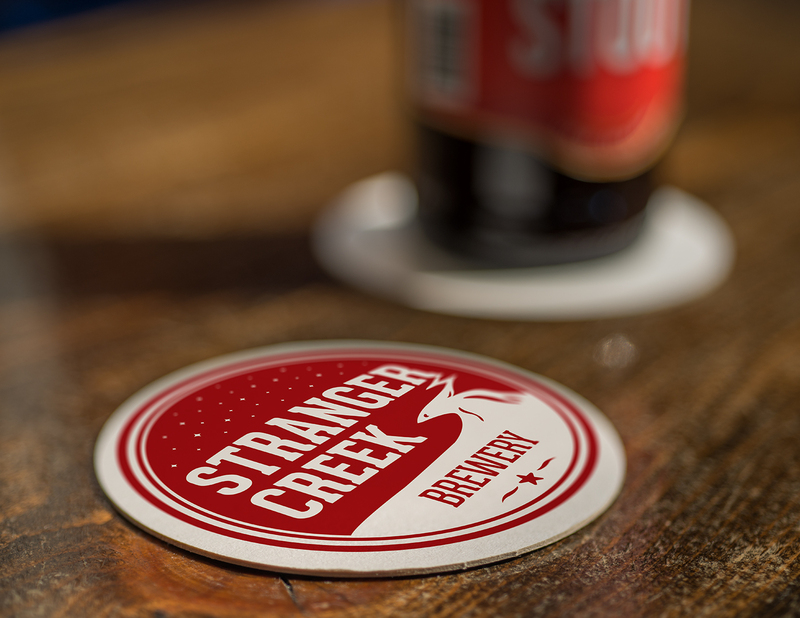 Whether you’re distributing in kegs or bottles, or even if you’re only selling out of your own taproom, you can effectively build brand awareness with well-designed custom coasters that are functional, promotional and collectible. Atlas coasters are printed using four-color process lithography on absorbent pulpboard stock. Your design can be repeated on both sides or vary. The reverse side can promote a second style of your beer or can be shared with a co-op partner who may also share the cost. Standard coasters are round or square, 3½” or 4”, or can be custom die-cut out of a 4” blank. You can chose from a lightweight 40pt stock, our most popular 60pt mid-weight stock, or the substantial 80pt heavyweight board.